A root canal treatment is a procedure that is used to fix a tooth that's infected or badly decayed. This process is normally done if the pulp (the interior section) of the tooth gets infected or damaged. In this treatment, the pulp is fully removed and the interior area of the tooth is disinfected then sealed. Root canals are among many treatments that have improved with contemporary technology and methods. Although root canals were frightening and painful, modern root canals are achieved more effectively with little to no discomfort. Having a root canal can heal your tooth and overall oral health. DO I NEED A FILLING OR ROOT CANAL? Dental cavities are a normal problem caused by buildup that leads to enamel decay. Although cavities vary in size and seriousness, cavities can normally be treated using a simple filling. This process includes using composite resin to seal the area once the decay on the top layer of the tooth is cleaned off. When a cavity isn't caught and treated, the disease can spread from the top layer and infect the pulp. After this occurs, a root canal is needed to eliminate the contaminated pulp. If the disease is not treated, it may spread to some other teeth in addition to your gums, jawbone, and also blood. This is why it's better to have the issue recognized and addressed sooner. This is only one of the reasons Highland Dental Care and Ortho. recommends everyone in Pearland, TX get yearly oral health examinations by a dentist. X-rays along with other resources help your dentist identify cavities so you don't need an extraction or root canal. Similar to most dental issues, a toothache is an indication that you could require treatment. The pain inside your tooth might be continuous or just when you eat. Another symptom is sensitivity to cold and hot temperatures. Darkening or discoloration of the tooth in addition to tenderness and swelling of the gums can indicate you need a root canal treatment. From time to time, disease of the pulp and nerves inside the tooth could result in chronic sores around your tooth. In case you have one of these symptoms, you need to get in touch with a dentist in Pearland, TX to get an appointment for a dental health examination right away. You should bring a list of your concerns and how long you've had them to make it easier for your dentist identify your issue. A root canal can be done by your dentist, normally in one appointment. The very first step is to get x-rays of your teeth to check and see if the infection has spread to other areas. Your dentist will apply anesthesia to make certain that you don't feel pain or distress during the process. Sedation dentistry might be provided in case you've got dental fears, or in the event that you would like to be in a more relaxed state during the therapy. To keep the are free of saliva throughout the therapy, the dentist will put a dental dam near your tooth. Then, an entry point will be carefully made in tooth with an advanced tool. Using this entry point, the interior will be removed from the tooth. This will be completed utilizing a sophisticated method that cleans any residual bacteria. Once the cleaning is finished, the enamel will be sealed and filled. Oftentimes, your dentist may suggest placing a crown on top of the tooth for protection and strength. Highland Dental Care and Ortho. uses custom dental crowns that are designed to blend with your teeth. Together with the root canal process, your tooth will be just like your other teeth. A root canal should quickly alleviate any pain you may have had prior to the process. Until the root canal treatment is completed and your crown has been put on, it is smart to not eat hard or chewy foods. The tooth will probably be delicate before the crown is set and may become re-infected if the enamel cracks before the process can be finished. 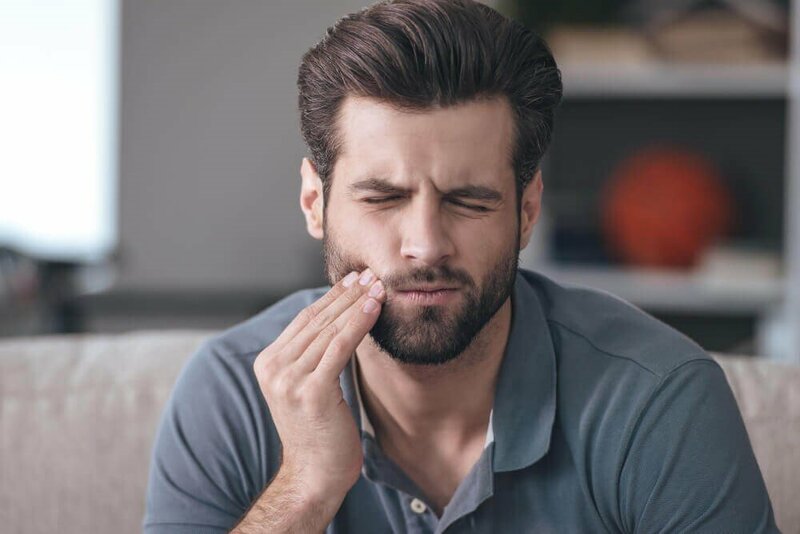 In the very first couple of days after the treatment, the tooth might be sensitive as a result of normal inflammation, particularly if you had pain before your treatment. Your dentist can write a prescription for medication that will help you handle the discomfort. Most patients can go back to their regular activities the following day. You need to floss and brush your teeth like you generally would and keep going to a dentist at regularly scheduled appointments. Lots of teeth repaired using a root canal treatment can be healthy for many years; but everyone would be delighted to never get a root canal. You may avoid getting a root canal by simply going to a dentist in Pearland, TX twice a year for oral health examinations and cleanings, in addition to having a regular home oral hygiene regimen with daily flossing and brushing. When you get a cavity and it's discovered and addressed early, the decay won't progress and harm the pulp inside your tooth. If you're trying to find a dentist in Pearland, TX to look after your household's teeth, then get in touch with Highland Dental Care and Ortho. to schedule a consultation. Our skilled staff can help correct any current problems and develop a preventive strategy to help decrease your chance of an infection that calls for root canal therapy.